Goodacres are delighted and proud to bring to the market this beautiful 4 bedroom detached property located in the popular location of Wootton Green. This exceptional dwelling provides spacious well planned accommodation throughout comprising 4 double bedrooms, 2 which offer en suite facilities, walk in wardrobe to master bedroom, 3 reception rooms and a large kitchen/breakfast room with a utility room. Externally the property offers ample parking to front which is secured via double iron gates, rear garden which offers patio areas providing seating, laid to lawn to most areas, greenhouses plus workshop. Wootton Green is a small hamlet located between the villages of Wootton and Lower Shelton all to which are located on the south-west of Bedford. 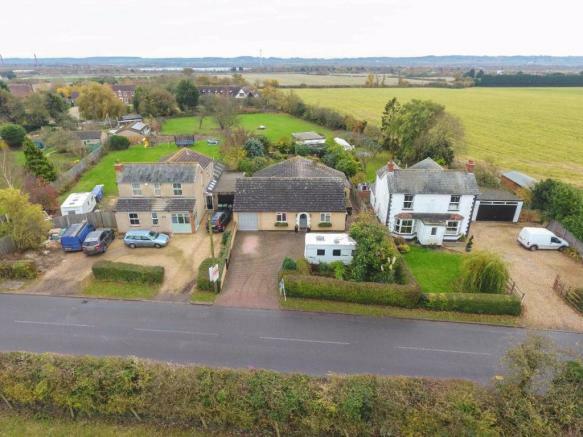 Local amenities in this area are located in the village of Wootton which offer an array of shops, pubs, schools, post office, petrol stations, doctors surgery plus others and also offers transport links such as the M1 (Junction 13) approx. 5 miles, A421 approx. 2 miles, Milton Keynes approx. 14 miles, Bedford main line station approx. 7 miles plus Woburn approx. 9 miles away. We have owned this property for over 20 years and we have loved every minute of living here. The lower school is within walking distance of the property which was ideal for our children plus as dog lovers the walks over the countryside have been perfect for us. The best features about this property is the beautiful hub of the house which is the kitchen/breakfast room, it's the perfect room for entertaining when family and friend are over. The versatility of the property is great, we currently have 4 bedrooms and 3 reception rooms but that could easily change depending on people's situations. The reason we are selling is we are starting a family business down by the coast and if we could pick the house up and take it with us we would. This really is a fantastic opportunity to own a beautiful detached property located in a small hamlet of Wootton Green. 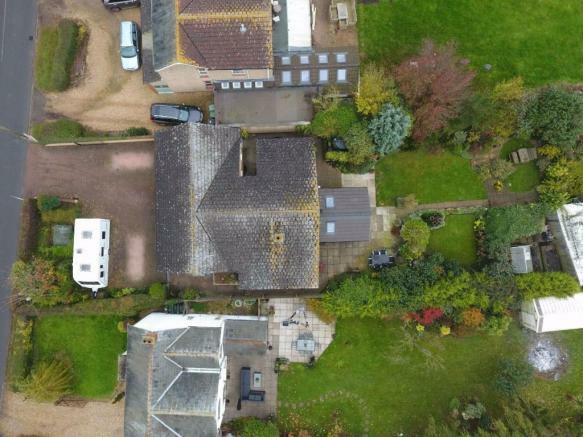 This property has been heavily transformed by the current owners adding 3 further reception rooms, a master bedroom in the loft which offers a breath taking en suite plus a walk in wardrobe. 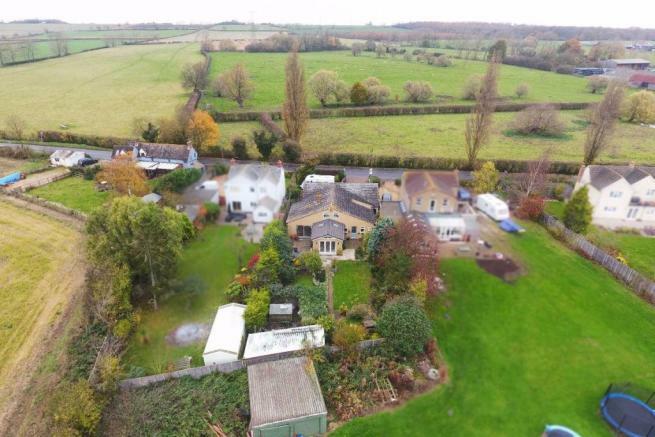 For me this property is an absolute gem and is one of these properties which needs to be viewed to fully appreciate what this property has to offer. 20 '4 x 14 '5 - Double glazed window to side, sliding patio door to rear leading on to garden, brick built open fire place with brick surround, radiators, flooring, tv and telephone points plus double doors leading from dining room. Two piece suite comprising of shower cubicle and low level wc, flooring plus radiator. 17 '9 (max) x 9 '6 (max) - Double glazed windows to rear, storage in eaves, tv point, seating area, flooring plus radiator. Three piece suite comprising double shower cubicle with glass surround, wash hand basin, low level wc, flooring, radiator plus double glazed window to side. Mostly laid to lawn, planting areas, patio areas providing seating areas, door leading to garage, gate leading to front, workshop plus greenhouses within planting areas. Up and over door, storage in loft space, power and electric. Disclaimer - Property reference RS0096. The information displayed about this property comprises a property advertisement. Rightmove.co.uk makes no warranty as to the accuracy or completeness of the advertisement or any linked or associated information, and Rightmove has no control over the content. This property advertisement does not constitute property particulars. 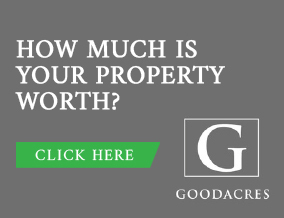 The information is provided and maintained by Goodacres Residential, Kempston. Please contact the selling agent or developer directly to obtain any information which may be available under the terms of The Energy Performance of Buildings (Certificates and Inspections) (England and Wales) Regulations 2007 or the Home Report if in relation to a residential property in Scotland.